Do you know that moment when day breaks into dusk, and when it is too late for the sun, yet too early for the stars? Up north we call it the blue moment. 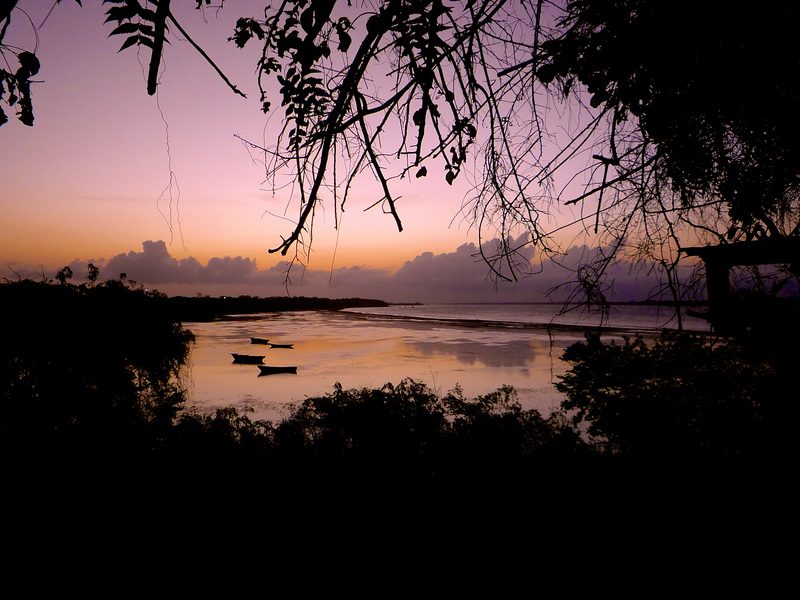 On Wasini Island the fiery hot sun slowly fades into an orange afterglow, finally washing into a purple watercolor sky. Plain blue would be too simple and subdued after a white-hot day.